Subject: Are Dice Towers safe to use? 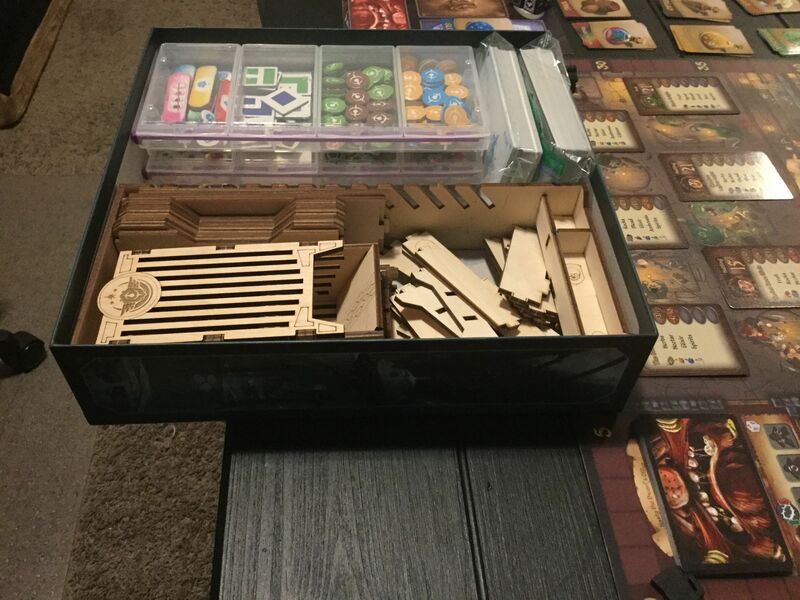 Are Dice Towers made of wood save to use or do they damage dice in the long run? Re: Are Dice Towers save to use? Either the dice would have to be fragile (i.e. really cheap), or you would need to use them EXTREMELY OFTEN, like... the whole day each day? And if you would be worried, just glue some thin felt on the individual "levels" and you are done. EDIT: Oh wait, is this a click-bait? I think you mean "safe", and if you're afraid they'll damage dice, just add some felt to each wooden area a die can touch? @Joe: I also have a feeling this is just a hidden ad, but not sure. I can't see how they wouldn't be "safe" to use. Dice are made to be durable, since their whole purpose is to be chucked and dropped and rolled. A wooden dice tower isn't any more punishing than rolling on a wooden table, I wouldn't think. I used a blender as a device for rolling dice once. It left quite a few lacerations. They are not safe for use with T.I.M.E Stories! Honest first roll with dice tower from the TowerRex insert. I'm going with "covert advertising" here as well. I really doubt they would damage the dice if the dice are the type with pips or numbers stamped into them, but you did got wondering about Too Many Bones type dice that have unique graphics on each side. They are supposed to be pretty tough but I think I would probably hesitate to use a tower with them. They would be expensive to replace. On the surface I agree, and I haven't had issues with my modern dice, but the D&D Dice that came with my D&D Basic and D&D Expert sets looked like badly peeled hard boiled eggs after just a year. So, some dice do not hold up. The ones made from wood are fine. It’s the ones made from acid covered razor blades that you need to be wary of. Honest first roll with dice tower from TowerRex insert. Send it back, it's defective! Without scientifically conduction experiments using thousands of dice rolls upon varying surfaces and some way to evaluate damage, this question cannot be answered. IF you want that dice tower, go for it. Even if it wears out the dice, replace the dice. I find that this dice tower, of which I own two, are very tough on dice. You only have two? Ha! Filthy casual. Are Dice Towers save to use? 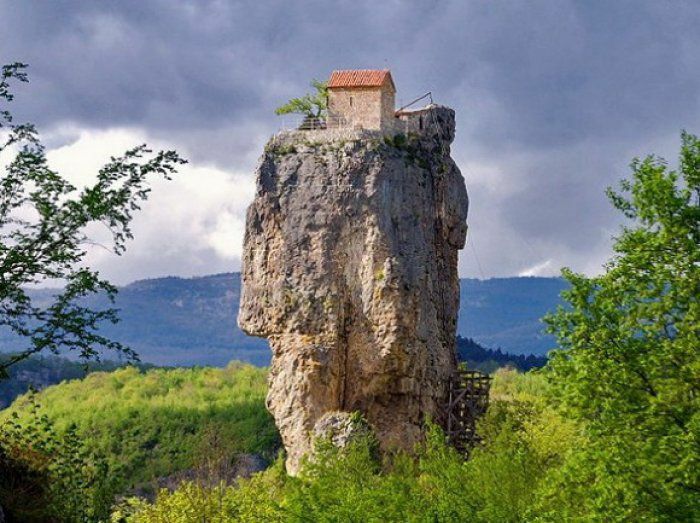 You always want to save the game just before you use a dice tower. Then, if you have a really bad roll, you just reload the game from your save point and try again. One of the reasons you want to buy dice towers is that you're not scratching or denting your table over time... replacing dice is cheaper than that I'd say! A thinly disguised ad. Hey OP, if you want to pitch your dice tower, use the Press Release forum and be upfront about it. 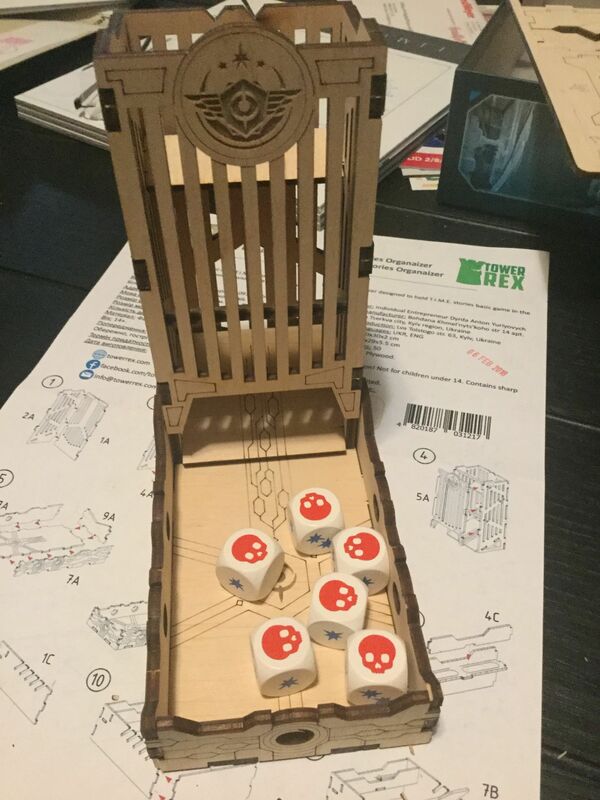 I don't see how a dice tower would be particularly more damaging to dice than a wood table would be and I doubt many people are very concerned about that. And even if either were damaging to dice, it'd have to be over the course of thousands of dice rolls. And even then it'd just be a bit of wear and tear on the dice. Worst case scenario: After many years you end up having to buy new dice. There are a lot more important things to worry about. The problem is that it takes LOOOOOOOOG time for the dice to pop out of the bottom. But it does handle really big dice! Or you could just cover the dice in felt. thanks, i corrected the error in the subject. it was not meant to be an advertisment. i just wanted to link the dice tower i use. i will delete the link. which would mean buying the game again if it uses special dice that cant be ordered seperate. True. As with anything, there are varying levels of quality. But that would end up being a dice issue, instead of a dice tower issue. The only ones that come to mind would be games like Ghost Stories, where the dice had an issue of the faces being rubbed off, and even that can happen from normal rolling. In essence, no, dice towers are perfectly fine and don't damage the dice anymore than rolling on a wood table does. My post was only meant to be funny, but to ease everyone’s mind and provide a more balanced review. This is the current status of the storage in use.